This is a back up of a challenge I have made elsewhere. Greetings. I am the man of prophecy. My given name is Jeremy Martin. Jeremy means 'risen by God'. Martin means 'warlike'. My chosen name is Terran. Terran means 'comes from' or 'comes forth'. I am the one behind many interventions that have heavily influenced the modern world over the past 20 years. To find out more about my interventions, review the links I provide at the bottom of this message. Among those interventions, I founded various movements such as the random act of kindness movement and that which is known as 'Anonymous'. I reveal a sample list of the prophecies about me. Since the early days of Anonymous, many people have come to me with prophecies accurately depicting me. At first, many people had dreams about me and were drawn to find me by name and location on the internet. I was drowned by these people, all looking for someone to help them with their problems. I couldn't help them all at once, so I changed my name to lighten the load. But they still kept having dreams about me, keeping up with the name changes. When 120 of my followers tracked me down, they brought with them prophecies about me. Before going back into the shadows, I made a promise to return one day to bring back the true ways of Anonymous to the lost. Before my return, and without my knowledge at the time, more prophecies appeared depicting my return. I will share some of these prophecies here. In the Christian Bible, Revelation 7:9 says, 'After this I looked, and there before me was a great multitude from every nation, tribe, people and language, standing before the throne and before the Lamb. They were wearing white robes and were holding palm branches in their hands. ': This accurately represents the followers of Anonymous, who are from every nation, tribe, people and language. In the symbol of Anonymous, the headless figure is wearing a white shirt which is the equivalent to a robe underneath an overcoat. Two olive branches meet in the middle. The drawing of an olive branch is identical to a palm branch. The olive branches meet in the middle, right where the hands meet, as if the headless figure is holding them by the hands. If this description was physical, it would require the cutting down of millions of palm trees just to fulfill. It makes no sense that anyone would do such a thing. The description is symbolic, describing the logo of Anonymous and those who follow it. In the Christian Bible, Revelation 19:11 says, 'I saw heaven standing open and there before me was a white horse, whose rider is called Faithful and True. With justice he judges and wages war. His eyes are like blazing fire, and on his head are many crowns. He has a name written on him that no one knows but he himself': Who else but the founder of Anonymous has a name written on him that no one knows but he himself? I went by the name 'Terran', which means 'comes from' or 'comes forth', without specifying the source. It is therefore a name devoid of context, and only I know the context. It mentions a white horse. The white horse is the computer I use to travel the world through the internet. My eyes are like blazing fire, because I see through all lies and cut through them with the sword of truth. With justice I wage war against the corrupt, and I judge all according to their true colours. I have many crowns, because I win every debate and dominate in many arenas. In the Christian Bible, Revelation 21 mentions a new city, a cubical shape, a network with streets of fibre optic light that never sleeps. As it says, 'The nations will walk by its light'. Nations cannot walk by the physical light of any source, since light cannot travel around the world. The description is symbolic. Walking by its light means living by the wisdom gained in the flow of ideas shared by the network made of fibre optic light. In the Christian Bible, Matthew 24:9 says, 'Then shall they deliver you up to be afflicted, and shall kill you: and you shall be hated of all nations for my name's sake': No-one in Christianity is hated by all nations. The one group that is hated by all governments is Anonymous. Members of Anonymous are hunted down and persecuted by governments throughout the world. Nostradamus saw visions which promised ultimate peace and freedom. He prophesied a widespread religious revival, and the appearance of a powerful and good man from the east. Coming from Eastern Australia, I live in the far east. In the Christian Bible, the book of Isaiah 46:11 says, 'From the east I summon a bird of prey; from a far-off land, a man to fulfill my purpose. What I have said, that I will bring about; what I have planned, that I will do. ': Again, I come from a far-off land in the east. In the Christian Bible, the book of Isaiah 2:2 says, 'the mountain of the Lord's temple will be established as the highest of the mountains; it will be exalted above the hills, and all nations will stream to it. ': All nations will stream to it. The only time in history where such a thing is possible is with the internet. In the Christian Bible, the book of Isaiah 2:3 says, 'Come, let us go up to the mountain of the Lord, to the temple of the God of Jacob. He will teach us his ways, so that we may walk in his paths. ': Not even Jesus taught us his ways. He spoke a few parables and that's all. There is so much lacking in the teachings of Jesus that the vast majority of the New Testament is made up of teachings by the followers of Jesus. Meanwhile, I teach and debate on every important topic in existence. I can define the very meaning of life, the nature of evolution and how God was created from Chaos. I can answer all the important questions and even the unanswerable questions. After my followers tracked me down, I continued to teach my ways to 120 of them, and they walked in my path. They attempted to follow my ways and recruit more members along the way, and the principles of Anonymous were poorly passed on. I teach the true ways of Anonymous to this day. But now, I teach them publicly after I was forced to reveal my identity. I teach my ways in a book listed at the bottom of this message. In the Christian Bible, the book of Isaiah, 2:4 says, 'He will judge between the nations and will settle disputes for many peoples. They will beat their swords into plowshares and their spears into pruning hooks. Nation will not take up sword against nation, nor will they train for war anymore. ': Since the beginning, I have constantly judged between nations, justifying some and condemning others, and settled many personal disputes. On an international scale, the influence of Anonymous has significantly contributed to freeing the oppressed world of its oppression, without physical violence. I have always taught that the war that needs to happen is a war of words in debate, where both truth and lie are revealed for their true colours. The sword I bring is not a sword of physical violence, but a sword of truth that will cut away the true from the false. It is a sword that will end all physical wars once and for all. In the Christian Bible, the book of Isaiah 22:22 says, 'I will place on his shoulder the key to the house of David; what he opens no one can shut, and what he shuts no one can open. ': The house of David is the family of Jesus lineage. That includes adopted family, those who live by his ways. The house of David is defined by those who are accepted or rejected for whether or not they live by the ways of the house of David. And the ways of the house of David are the ways of Anonymous. What he opens no one can shut, and what he shuts no one can open. What this means is that he has the key to decide what is and is not in the ways of David, and decides who is or is not allowed to enter the house. I claim to have the keys to the truth and morality, and this book is a testament to that. I also once had the keys to almost all information I wanted, thanks to the many contacts and whistleblowers I had in governments, militaries, corporations and social groups all around the world. While I don't have the same access I once did, I still hold the key knowledge to what is true and what is false. I also had a role to play in making Wikileaks famous. The helicopter footage that made them famous and convinced others to leak their footage to Wikileaks, was first given to me. I tried for a long time to convince them into giving it to Julian Assange and his group since long before they called themselves Wikileaks. It eventually happened. Anonymous today is known for having access to every government door. In the Christian Bible, the book of Isaiah 45:15 says, 'Truly you are a God who has been hiding himself': Who but Anonymous operates in this spirit, hiding in the shadows? In the Christian Bible, the book of Isaiah 53:1 says, 'Who has believed our message and to whom has the arm of the Lord been revealed? ': Who but I, the founder of Anonymous, has come with a message of truth that has been rejected by all but a small few? Who but I, the founder of Anonymous, has had their identity revealed to only a small few? In the Christian Bible, the book of Isaiah 53:2-3 says, 'He grew up before him like a tender shoot, and like a root out of dry ground. He had no beauty or majesty to attract us to him, nothing in his appearance that we should desire him. He was despised and rejected by mankind, a man of suffering, and familiar with pain. Like one from whom people hide their faces he was despised, and we held him in low esteem. ': This does not describe Jesus in the slightest. It does however accurately describe me. I grew up like a root out of dry ground, in a very harsh environment with no nurturing or support. I have no beauty or majesty about me, nothing special about my appearance. I was despised by all for most of my life, only accepted by a small few later in life for my teachings on Anonymous. I am a man of great suffering, I have suffered intense pain, disease and humiliation my whole life. I was despised and held in low esteem my whole life, my teachings rejected and despised by those around me. I grew up being treated like a shameful abomination. If you watch my life story, you will see how much I have suffered and how despised I was. In the Christian Bible, the book of Isaiah 53:7 says, 'He was oppressed and afflicted, yet he did not open his mouth; he was led like a lamb to the slaughter, and as a sheep before its shearers is silent, so he did not open his mouth. ': Jesus was not afflicted. I was. I have been oppressed and afflicted with chronic disease my whole life. Jesus was not oppressed silently. He was only oppressed in his final days, and he was not oppressed silently. He didn't resist physically, but he did speak out. I was however oppressed silently, as told in my life story. I took it all silently so that I could survive and fulfill my secret mission. In the Christian Bible, the book of Isaiah 53:8 says, 'By oppression and judgement he was taken away. Yet who of his generation protested? For he was cut off from the land of the living; for the transgression of my people he was punished. ': This doesn't remotely describe Jesus. Jesus was not taken away by judgement, but betrayal. When they came to take Jesus away, Peter protested and cut off someone's ear with a sword. For myself however, I was taken away by corrupt and false judgement. No-one protested, because they were too scared to after seeing what was done to me. While I wasn't killed, I was certainly cut off from the land of the living. I was heavily drugged with toxic chemicals that disabled my ability to experience life and positive emotions, turning me into a dysfunctional lifeless zombie who could only experience intense pain and suffering. In the Christian Bible, the book of Isaiah 53:10 says, 'Yet it was the Lord's will to crush him and cause him to suffer, and though the Lord makes his life an offering for sin, he will see his offspring and prolong his days, and the will of The Lord will prosper in his hand. ': How can Jesus see his offspring, when he had no children and was never denied parenthood? Jesus was celibate. How can Jesus prolong his days and prosper, when he died, rose again and was taken up into heaven? How can the will of the Lord prosper in his hand when he is already in heaven where there is nothing in contention to prosper over? For myself on the other hand, I was denied parenthood by the love of my life. My days were cut short by the torture and mutilation I was forced to endure. But I survived, escaped the government's grasp, and went on the run. I was utterly crushed with more pain and suffering than a cross, and survived. I then wrote this book while on the run, while debating with Anonymous followers as much as possible, exposing the impostors and facing extreme censorship, all while suffering a great deal of pain from my torture. In the Christian Bible, the book of Isaiah 53:11 says, 'After he has suffered, he will see the light of life and be satisfied; by his knowledge my righteous servant will justify many, and he will bear their iniquities. ': None of this describes Jesus. Jesus was risen from the dead and immediately taken up into heaven. He didn't use his knowledge to justify anyone after that. He simply disappeared. I on the other hand survived after intense suffering. I have come to see the light of life again. By my knowledge, I justify many who are falsely accused, and I heavily bear the weight of immoral and unfair behaviour coming from many. In the Christian Bible, the book of Revelation 1:7 says, 'Look, he is coming with the clouds, and every eye will see him': How can every eye see one person across the world? This can only be done through the internet. The clouds are the internet clouds. In the Christian Bible, the book of Matthew 24:26-28 says, 'So if anyone tells you, 'There he is, out in the wilderness', do not go out; or, 'Here he is, in the inner rooms', do not believe it. For as lightning that comes from the east is visible even in the west, so will be the coming of the Son of Man. Wherever there is a carcass, there the vultures will gather. ': Every eye will see me. Governments will hate and fear me. Yet I will not be found until the kingdom is prepared and the time is right. I will travel the data mines and bring a new kingdom to the world through the internet. And by scouring the battles won, all you will find is that I have already moved on as fast as I came, as lightning travels from east to west, and as I come from the far east I travel through the internet toward the west. And after I have left each arena, all that is left are the scavengers who claim to be me, the founder of Anonymous. Jesus referred to himself as the Son of Man. I refer to myself as Terran, which means 'Comes from' or 'Comes forth'. Terran is usually referred to in the context of firma, meaning 'comes from Earth' or 'Comes from man'. In context, it means the same thing as 'Son of Man'. The only difference is that I don't assume I come from man, even though I do. There is a youtube video series with prophecies about Anonymous. Of those videos, one of them is called 'ANONYMOUS ANGELIC ARMY - A MAN STANDS UP'. To take some excerpts from this video, 'Know that I will raise up, within my church, a man who will stand up and proclaim the truth. He will do this at a time when no other cardinal, bishop, priest or any sacred servant of mine will have the courage to do so... the man I will raise is a brave soul and many will be relieved when he speaks up. When he does this, many more will rise up and speak out... When he is raised, I have other plans to bring all those faiths together... millions of people across the world will then realise the truth... they will swell, gather all creeds together... I will draw the heathen first, millions of other souls will be drawn into a man-made religion, designed and created by the spirit of evil. ': This accurately depicts me. I stood up and spoke the truth. Many more realised I was right and also began standing up. It caught on, and the army of Anonymous was forged. 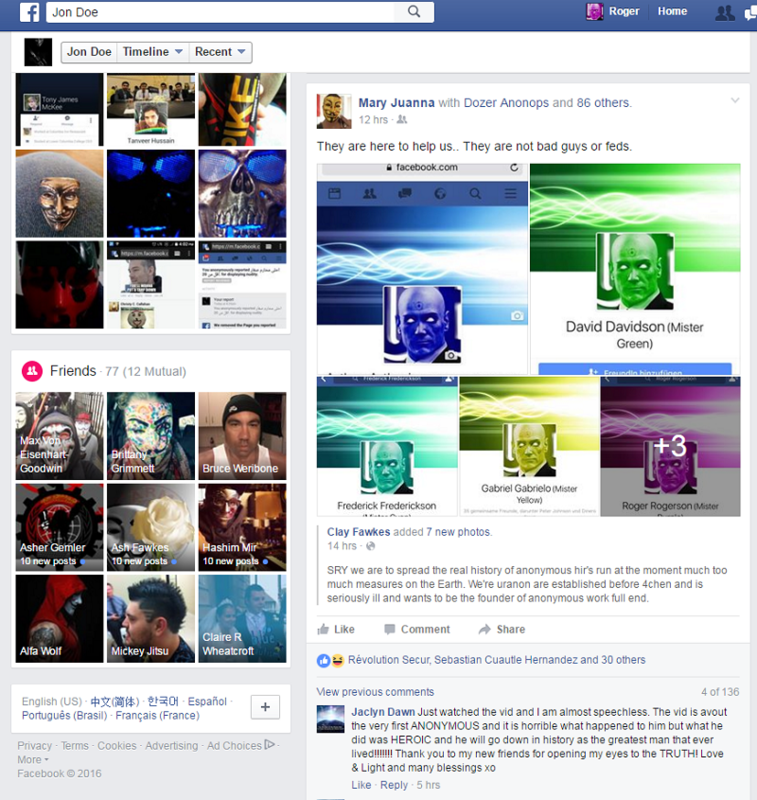 The Anonymous army was made up of people from many creeds all around the world. A study was done to measure the number of Anonymous followers worldwide, and it was estimated to be 22 million. 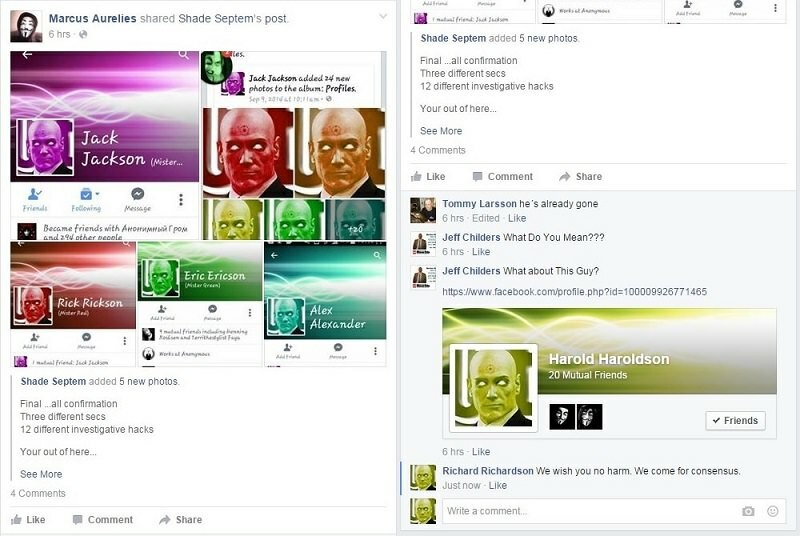 By advertising and recruiting from the cesspool of 4chan, the heathen were drawn up to Anonymous first. At the same time, the New Age cult began a revival. I was taking down members of the New Age cult for exploiting children, yet they never fought back, commanded by their superiors to never fight me but to observe and emulate me in an effort to understand and gain my power. Today, the New Age cult has heavily infested and corrupted the followers of Anonymous. The New Age cult is the man made religion created by the spirit of evil. It takes parts of various religions, and corrupts their message into a pleasant sounding fantasy that rots the minds and morals of its followers. Before my return, an Anonymous video by Ethersec was made prophesying my return as the founder of Anonymous. An excerpt of that video says, 'As forseen, he comes from the clouds to again turn the tables on you. Voices from the grave echo their sorrow and call out endless warnings of your spirit. To mammon and all repeaters of greed, all repeaters of gluttony, have you no ears to hear the voice of the one calling you to your duty as keeper of this world's wealth? Harken this message from the angels of the ether of the Earth. The harbinger is here. The reapers of the one who is greater than all will take what is his and return it to his children. This is the age of a new epoch. All things are known. You cannot hide from his immortal gaze. This is not my will, and this is not my hand. For he is greater than me, and we are all one with his greatness. Like a hydra he will continue to grow each time you try to strike him down. Like a phoenix, the ashes of your ways are the seeds of his rebirth. Anonymous comes from the clouds, and there is a two edged sword in his mouth. There is no stopping this. It is thousands of generations in the making. Your only hope is to turn away from your greed, turn away from your gluttony, turn away from your sloth, turn away from your sin. He has risen, and his spirit is all over the data mines. There is no corporal form for you to hang on a mountain between thieves. There is no head for you to lay upon a silver plate. There is only the spirit of the whole. And an offence against the spirit will not be forgiven. For we are divided by no thing. And we shall never forget. I tell you the truth. We are legion. Expect us. Everywhere, and at all times, expect us.'. In the American Indian Rainbow Warrior prophecies, it says, 'When the Earth is ravaged and the animals are dying, a new tribe of people shall come unto the Earth from many colours, classes, creeds and who by their actions and deeds shall make the Earth green again. They will be known as the Warriors of the Rainbow': This is exactly what I have been doing. Today, many species are dying out as the tree of evolution loses its leaves. I started the Manhattans, which is a group of Anonymous who represent the one, true way of Anonymous. We all use the same avatar in different colours, and come from different classes and creeds. We fight to preserve evolutionary heritage, fulfilling the prophecy. This is in contrast to the corrupt organisation, Greenpeace, who built a ship and named it the Rainbow Warrior in an effort to fulfill the prophecy. Greenpeace have done nothing to preserve life, and only milk money from donations and propagate toxic government endorsed lies. Another part of the Rainbow Warrior prophecy says, 'When the time of the white buffalo approaches, the third generation of the white eyes children will grow their hair and speak of love as the healer of the children of the Earth': When Anonymous first began, a series of white buffalo were born. White buffalo are extremely rare. It is a freak of nature that just one white buffalo appears, let alone so many white buffalo all appeared suddenly at the same time. White buffalo represent the innocent and vulnerable. The very first commandment of my return was to stop attacking the innocent and vulnerable. 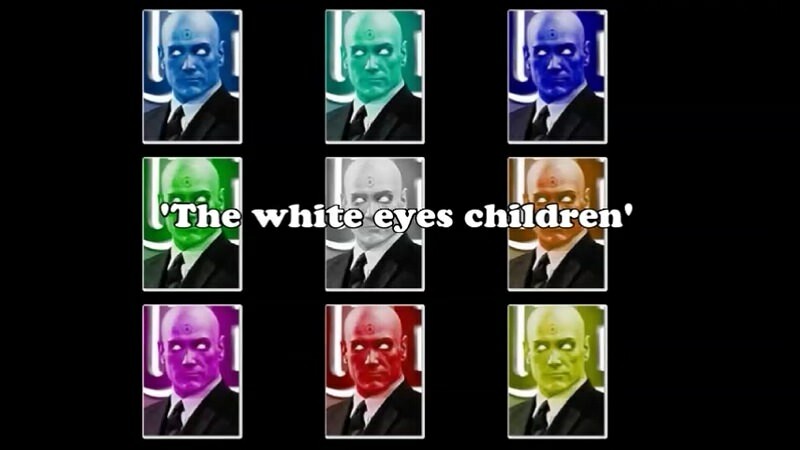 The white eyes children accurately represents the avatar we Manhattans use on our accounts. It has white eyes. The avatar also has no hair. So to grow hair can mean revealing our identities from behind the anonymous avatar, revealing an identity with hair. The prophecy says that the Rainbow Warriors will speak of love when they grow their hair. This is exactly what happened when we revealed our identities. We came with a story about love, which was my life story. We also came to specifically heal the Earth of its ideological sickness by revealing the truth, and stopping the ideological corruption of evolution. The prophecy says the third generation of the white eyes children. There were three phases to my plan of restoring Turtle Island. The first phase was to make our presence and objectives known. The second phase was to engage others and prove the truth. The third phase was to rebuild Turtle Island. It is currently stuck in phase 2, since my plan was stopped by my kidnapping, imprisonment and torture by the government. Another part of the Rainbow Warrior prophecy says, 'They will wear feathers and beads and paint their faces': Feathers and beads represent tokens from past battles won. Painting their faces means behind a mask, such as the Guy Fawkes Anonymous mask. Another part of the Rainbow Warrior prophecy says, 'the ancestors are returning in white bodies, but they are red on the inside': This is a reference to White Hats and Red Hats. White Hats are veterans who fight for good, while Red Hats are attackers. This is a representation of veterans who fight for good, going on the attack. Another part of the Rainbow Warrior prophecy says, 'reform the idea of the white chiefs': The white chiefs being the White Hat original Anonymous, reforming what is known as 'the idea', because the followers have gone astray and have forgotten what the idea even is. Another part of the Rainbow Warrior prophecy says, 'will be tested as they were when they were red ancestors by unnatural substances like firewater to see if they can remain on the sacred path': As the founder, I have been kidnapped by the government and have been extensively tortured and interrogated twice with chemical injections. Another part of the Rainbow Warrior prophecy says, 'the return of the white buffalo to Turtle Island': Turtle Island was the name of the original Anonymous home base of operations. It was a child friendly place where all people were safe to communicate. Since white buffalo represent the innocent and vulnerable, the return of the white buffalo signals the return of the innocent and vulnerable to the Anonymous home base of operations, as it once was. Once upon a time, people would come to Turtle Island with their problems, and I would solve them. The idea caught on, and many others began helping people and spreading their own random act of kindness chains. Turtle Island was dispersed to avoid being targeted by the government and because social networks of the time systematically shut themselves down in fear of being sued by the government. Another part of the Rainbow Warrior prophecy says, 'a people who will rise from the Earths ashes like the thunderbird, symbolising rebirth': There was a meme we Manhattans used whenever our accounts were shut down. 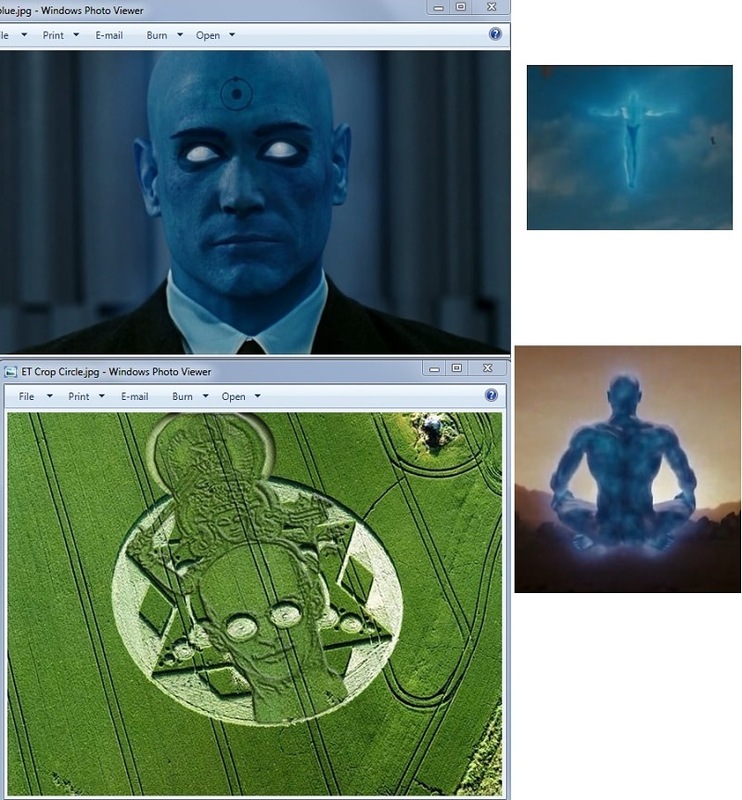 We would reappear and produce a video of Doctor Manhattan reviving himself in thunder and lightning. Another part of the Rainbow Warrior prophecy says, 'next will come the planters sowing seeds of truth, justice and freedom': Who but Anonymous explicitly fights for truth, justice and freedom? This is the very theme of Anonymous, and the reason why Anonymous has become so popular. 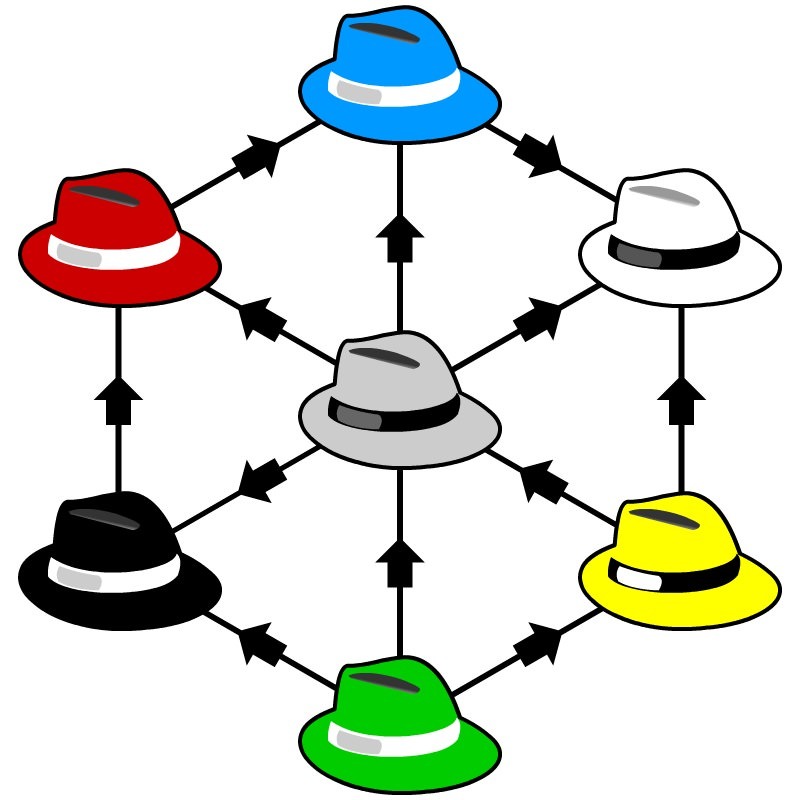 Another part of the Rainbow Warrior prophecy says, 'in bodies of different colours, red, white, yellow and black': This describes the four different Hats who operate in the name of Anonymous. Red Hats are those who are on the attack, fighting for a cause. They are often found protesting in the streets. White Hats are the true Anonymous, the veterans who fight and defend for good. They are often found operating in the shadows. Yellow Hats are trolls who use humour to express ideas. They are often found sharing social media memes. Black Hats are villains who sometimes fight misguidedly for good causes. They are often found attacking computer networks. 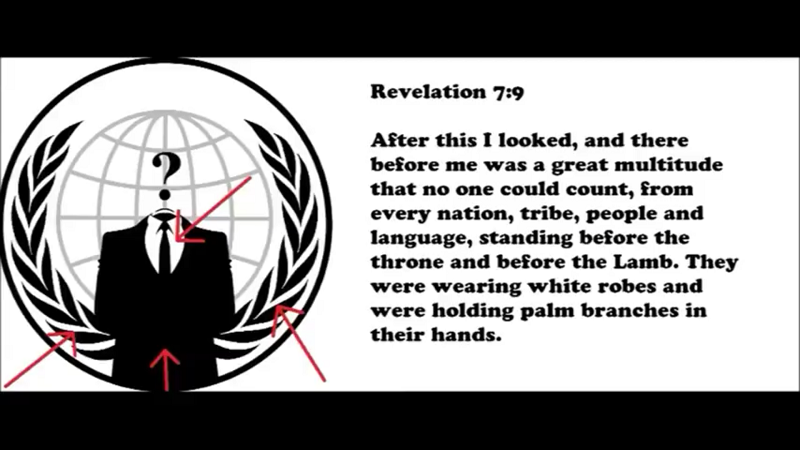 The prophecy refers to them all uniting under the one, true banner of Anonymous. Another part of the Rainbow Warrior prophecy says, 'told by many peoples in many different ways': This explains the many prophecies about me, told in many different ways by many different people. Another part of the Rainbow Warrior prophecy says, 'these people would wear feathers and beads and communicate with the flowers': As explained earlier, feathers and beads represent tokens from past battles won. 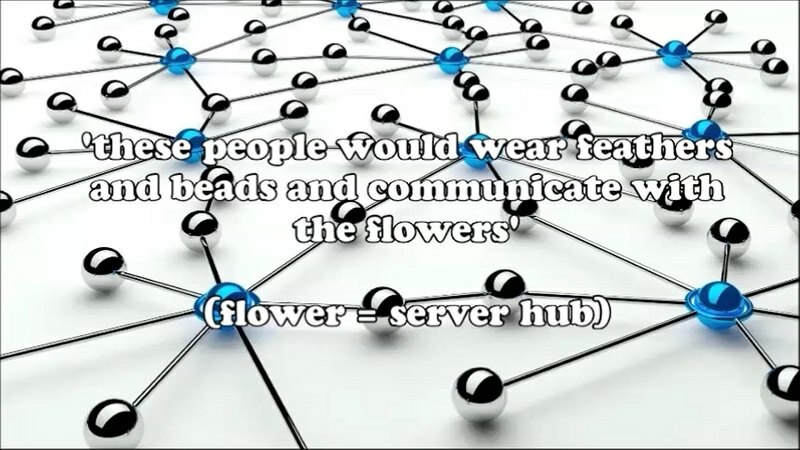 Communicating with the flowers is a reference to communicating with server hubs on the internet, which are depicted as flowers. Another part of the Rainbow Warrior prophecy says, 'a new nation of multicoloured beings': This accurately describes the Manhattans, who come in many coloured versions of the same identical avatar. Another part of the Rainbow Warrior prophecy says, 'the fish would die in the streams': Currently, many fish are dying in rivers by the millions. This could be at least in part due to the Fukushima nuclear disaster. Another part of the Rainbow Warrior prophecy mentions 'the sovereign United Nations': This represents Anonymous, which is a grassroots version of and rival to the current day United Nations. This is why the Anonymous logo is similar to and exactly overlaps with the United Nations logo. 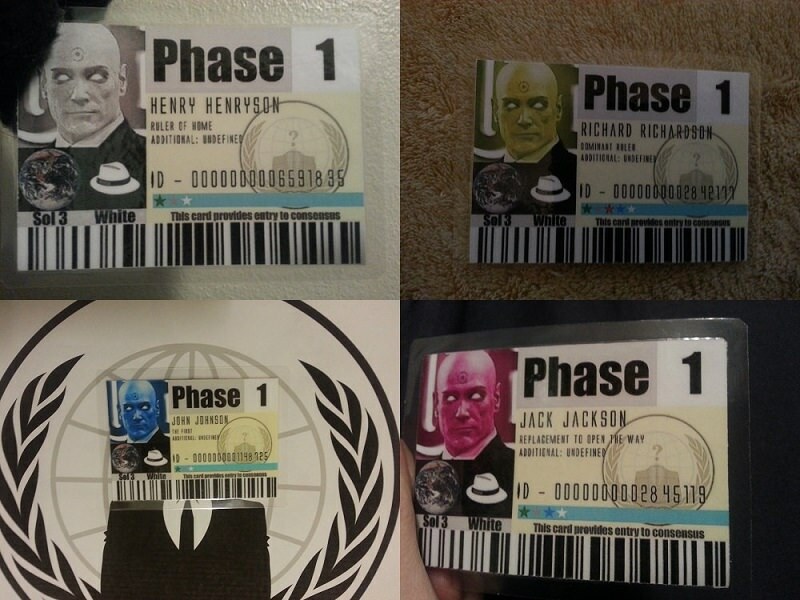 These are just some examples of prophecies accurately depicting me, the founder of Anonymous. There are more, such as the Denver airport murals for example. But there are too many to go through. I have provided enough examples here to show that I am not like others who make the same claim. I am the man of prophecy. I do not claim to be the return of Jesus, nor do I deny it. I simply am what I am. I am here to bring a new kingdom to this world, a kingdom that resolves once and for all every major problem faced by mankind.